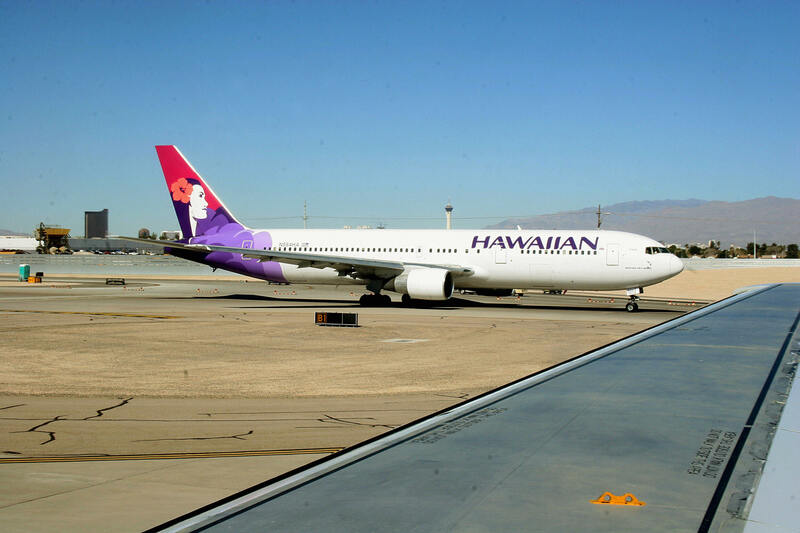 HONOLULU -- A New York City-bound flight returned to Honolulu after a passenger who had been drinking allegedly threatened to kill his girlfriend, her children, passengers and crewmembers, the FBI said. According to an FBI affidavit, James August allegedly slapped a female flight attendant’s shoulder and threatened his girlfriend. The captain of Tuesday’s Hawaiian Airlines Flight No. 50 decided to turn the plane around for the safety of occupants, the court document said. Trouble started before the flight took off from Honolulu International Airport when a crying 11-year-old boy told a flight attendant “can you please just keep him away from us?” the document said. August’s girlfriend and her three children refused to return to their seats in the same row as him. A passenger told the FBI August had been drinking before the flight. The affidavit says he tried to order more alcohol and drank some alcohol he personally brought onto the plane. During the meal service, the girlfriend’s 16-year-old son told a flight attendant August called her a derogatory word, insulted the children, and made life-threatening comments. When the flight attendant asked August to go with her to another part of the plane, he slapped her shoulder with the back of his hand, the document said. Flight attendants reported that he yelled, swore and threatened to punch his girlfriend in the face. Male passengers helped restrain August, the document said. The plane left Honolulu at about 4:30 p.m. and returned at about 9:30 p.m., said Hawaiian Airlines spokeswoman Ann Botticelli. A federal judge on Wednesday allowed August to be released to a Honolulu halfway house with certain conditions, including not contacting the girlfriend or her children, Assistant U.S. Attorney Tom Brady said. It appears August, the girlfriend and children were visiting Hawaii, Brady said. August’s federal public defender didn’t immediately return messages seeking comment Thursday.